Hello everyone! Welcome to the last post of 2014. We have received humongous support from our readers and we hope it continues. With New Year's Eve just around the corner, we give you a cue on how to wear metallics not only for your late night parties but also for the day. Ladies, don't you think the best part of being a woman is that you can embrace androgyny? You can switch to your brother's or even your father's wardrobe for some avant garde ideas. 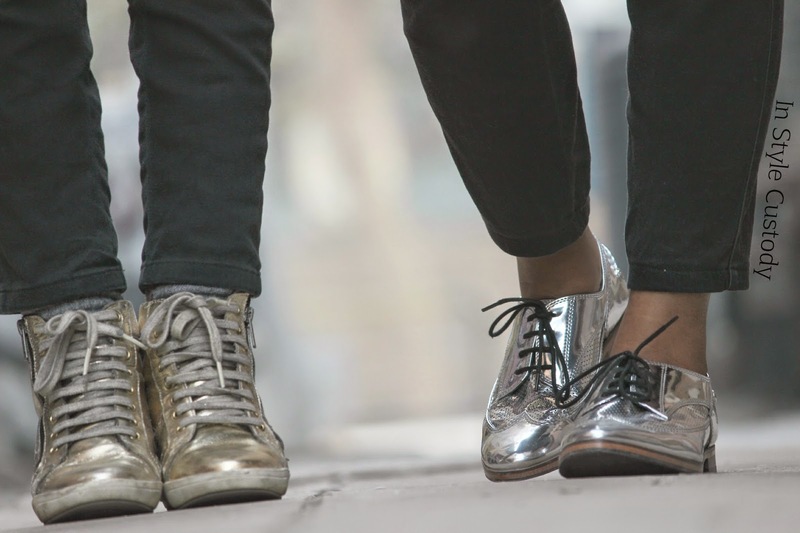 We switched our plebeian flats and high heels for these golden high-tops and trainers and silver brogues to give the boys something to ponder over. We chose two completely different genres of fashion. The trainers and the fuschia moto jacket highlighted the sports luxe trend. The ostentatious brogues or the oxford shoes complimented the double-breasted trench coat. Thank you for reading. We wish for your continuous support. You can also follow our Facebook page for the blog's updates. 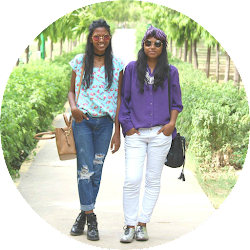 Do invite your friends on our journey into the world of fashion.